You want to throw a barbeque for a small group of friends but you recently switched to buying freeze dried foods because of the money you’ll save and the ease of the food storage. You don’t know if your guests will enjoy the freeze dried fare as much as you would and you don’t want them to decline the invitation because of what is being served. Shh! Don’t tell them what you are cooking with. What they don’t know will likely surprise them and maybe get them to understand that freeze dried food is the alternative they’ve been looking for to help them cut back on food expenses. 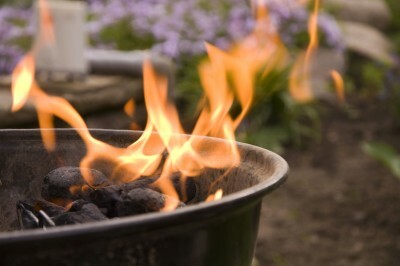 Here are a few recipes for items that you can throw on the grill that will tantalize the taste buds of your guests. 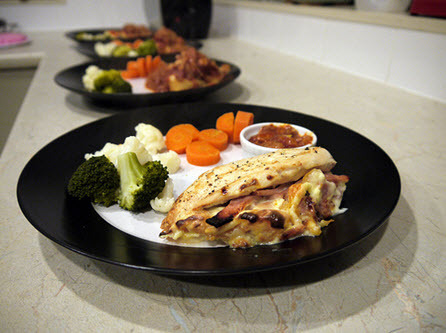 The first recipe is for Bacon Quesadillas. These ingredients will make four quesadillas, so measure out enough in order to accommodate the amount of guests who will be arriving at your party. 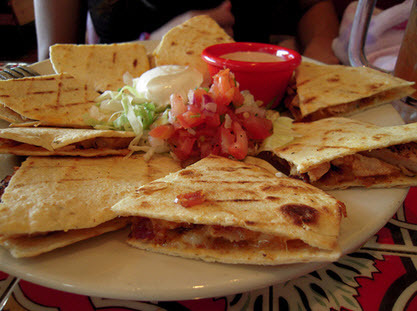 Top the tortillas with a layer of the bacon textured vegetable protein, cheese and onions then fold each tortilla in half. Place on the grill until the cheese is melted and the tortillas are lightly brown. Serve to enjoy. If that isn’t enough how about Chicken Stuffed Tomatoes to go along with your Quesadillas? The above ingredients are enough to make 4 stuffed tomatoes so adjust according to how many guests you will be inviting. Mix all of the ingredients together in a large bowl, then cut the tops of the tomatoes off and scoop out the insides. Fill each tomato with some of the mixture in the bowl and when this is done place them on the grill over a low fire. This will allow the insides to cook while not burning the tomatoes. Wait until the stuffing is warmed up and the tomatoes are lightly grilled and serve. Freeze dried food doesn’t have to be a boring way to eat. You can find new, inventive ways to eat them and on a bright sunny day what better activity is there than holding a barbeque and sharing food with friends? Maybe sharing your love of freeze dried food as well. Guest blogger: Denise Mitchell is a lover of the outdoors. She prefers to hike and go picnic with her family whenever her job as a writer for www.dailybread.com allows it. This is a fantastically different way to prepare grilled chicken with a little kick. My favorite way to make this is on the bbq along with some grilled corn and potatoes. I hope you enjoy it as much as my family. Trim chicken of all extra fat and splint in half. USE CAUTION PREPARING PEPPER! Combine the oil, juice, pepper and other seasonings. Place the chicken in a glass dish, pour the marinade over , cover and place in refrigerator to marinate 2 to 6 hours. Preheat grill to medium hot. 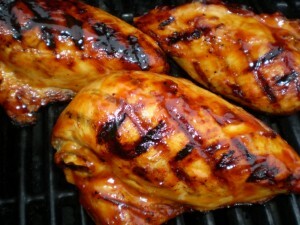 Remove chicken from marinade and grill for 7 to 9 minutes per side depending on thickness. Plate and enjoy! You definitely will not find anything like this if you order food online! Guest blogger: Ruth Rogers is a freelance writer that loves trying out new recipes and making up her own at the same time. She believes that cooking at home beats out restaurant online ordering any day!